Pilgrim Tucker is a member of the Radical Housing Network. He tweets at: @PilgrimTucker . 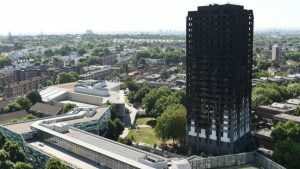 Today Grenfell residents staying together in a Kensington hotel were told they were going to be split up and scattered across London at a moment’s notice. This is a disgrace, writes Pilgrim Tucker of the Radical Housing Network.